Flameskill supplies and installs a complete turnkey solution for Frictape Circle & H Netlights, a ground-breaking solution for helideck circle & H lighting. Our innovative, standard-complying approach integrates lights directly into the landing net, making fixed light structures on the helideck surface unnecessary. 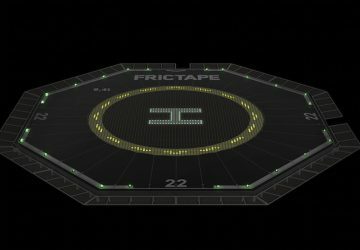 Please contact us for information on Frictape Helideck Nets. 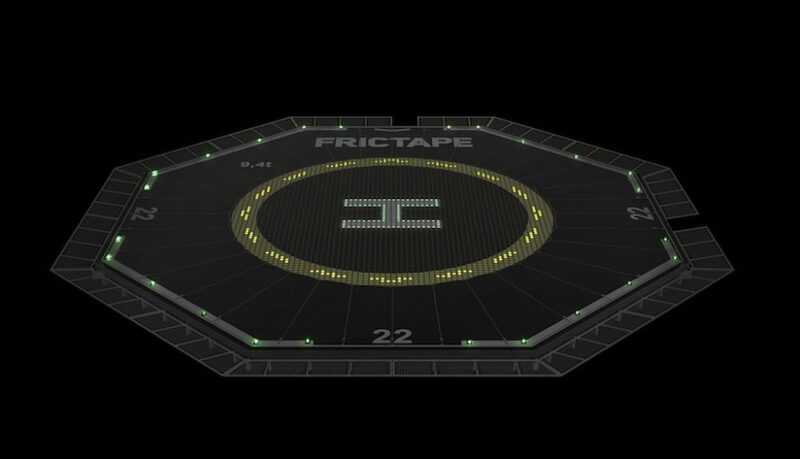 Unlike conventional helideck lighting fixtures, Frictape Circle & H Netlight does not require any fixed structures for lighting the helideck circle & H. This means that no holes are needed on the helideck for bolts, screws or rivets that could cause leaks or otherwise harm the deck’s structure. 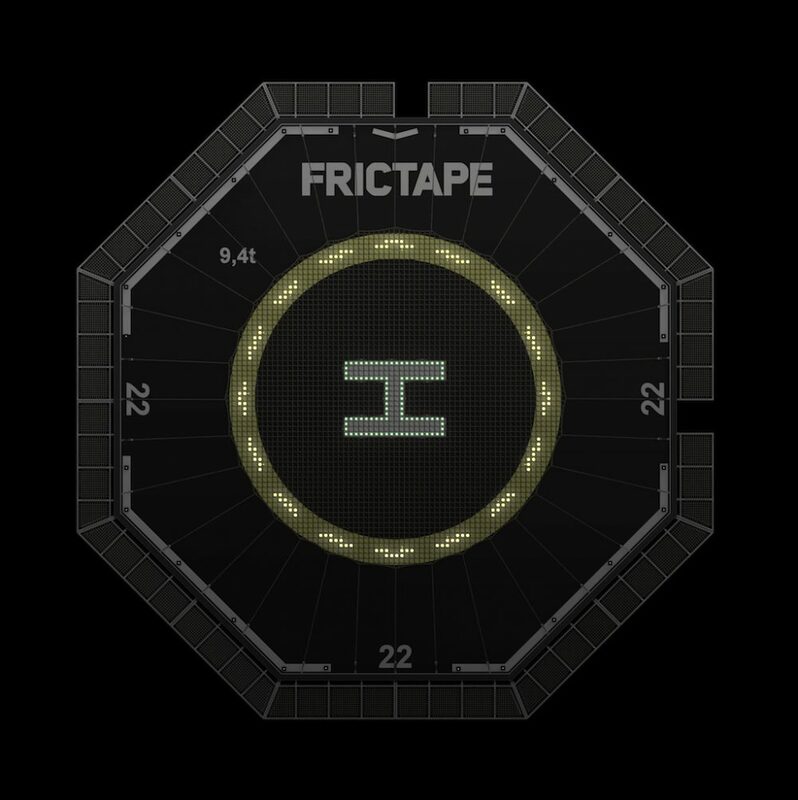 The lack of fixed structures also means that Frictape Circle & H Netlight is easy to handle and store and makes helideck cleaning and maintenance effortless. 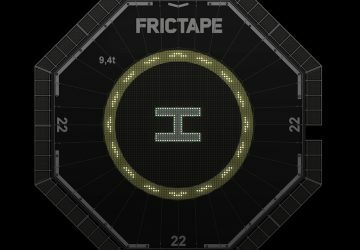 Furthermore, when compared to traditional fixed solutions, the installation of Frictape Circle & H Netlight is remarkably fast, taking no more than a few days. The net’s ability to perform in all light and weather conditions makes it the most cost-effective helideck net solution on the market. 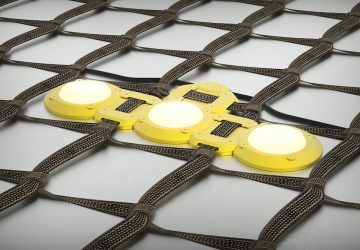 The Circle & H Netlight consists of custom-designed light modules that are installed directly to the market-leading Frictape Landing Net. Its uniquely designed, integrated light modules ensure that the circle & H lights are optimally visible from the helicopter, making the helideck location, identification and final approach safe for pilots. Netlight total height is always under 2.5cm, including the lights, baseplate and the landing net. The Circle & H Netlight complies with the CAP437 standard and it has a proven friction coefficient of over 0.65. All the parts are tested to withstand loads generated by the heaviest helicopters. When properly tightened, the net’s light modules will not move and are always clearly visible for maximum safety. 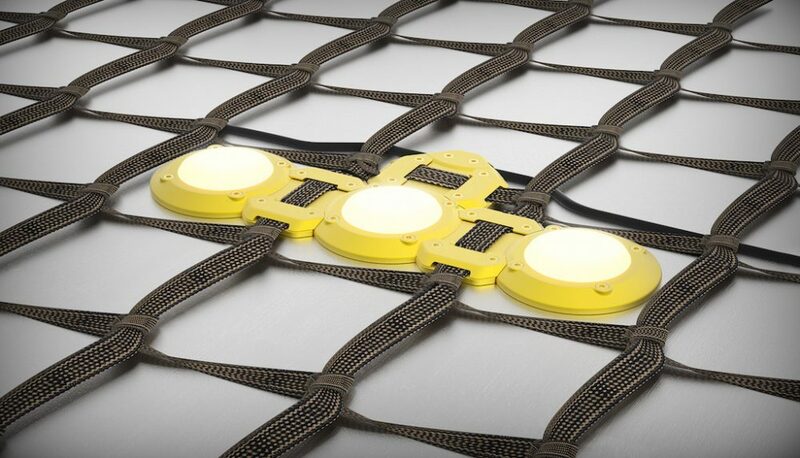 The modular structure of this innovative solution makes it possible to change the net around the lights if the net is the only thing that needs replacing.